I love the idea of fusion cuisine: Taking 2 cultures and smooshing them together to create something delicious. I also, incidentally, love food trucks. My favorite food truck is a little place called “traveling kitchen” in Louisville, Ky. They serve korean street tacos. 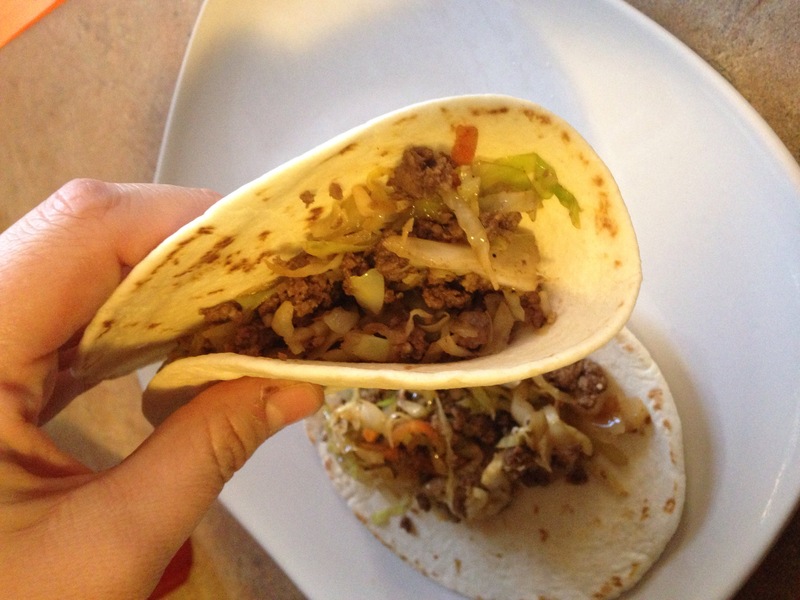 A beautiful mix up of korean and mexican cultures, and they are delicious. That’s where I drew inspiration for this one. That, and a recipe for a low carb dish that people call “crack slaw”… These are yummy. You can adjust the chili paste if you like things spicy! 1. Season ground beef with salt and pepper, and brown in a large skillet. Remove beef from the skillet and set aside. 2. Heat sesame oil in the same pan you used to cook the beef. Add the garlic and slaw mix, and cook on low-medium heat, stirring frequently. 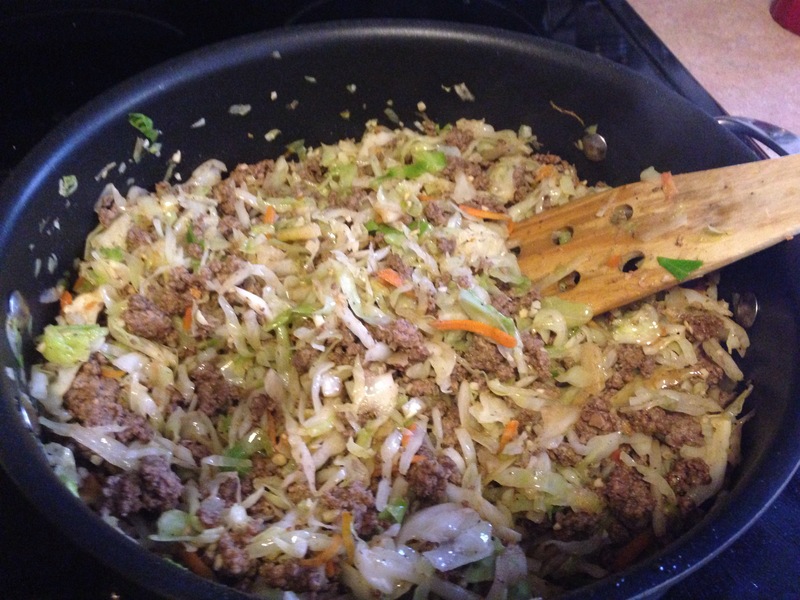 Cook until slaw mix is cooked through and cabbage becomes almost transparent. 3. Add beef back to the skillet, along with: Soy sauce, chili paste, splenda, ginger, and vinegar. 4. Cook all together, stirring regularly, for about 3-5 minutes. Taste before serving, and salt/pepper according to taste.